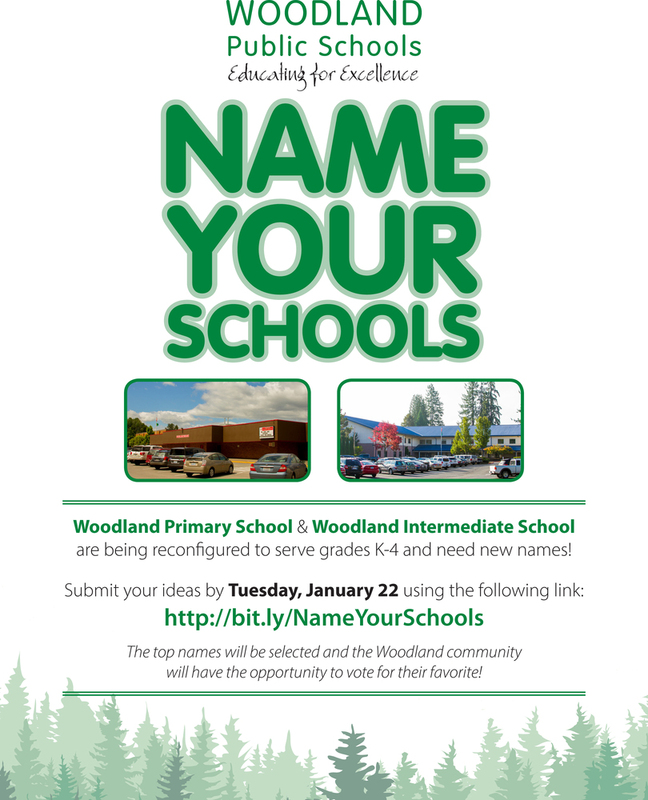 With Woodland Primary and Woodland Intermediate serving K-4 next year, both schools will need new names and we want the community to give suggestions! The form will close next Tuesday, January 22 so get your names in soon! After we've collected your ideas, the community will vote on the favorites and actually name the schools in a following poll.